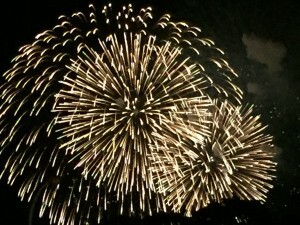 Hanabi (花火) (fireworks), not to be confused with Hanami (cherry blossom viewing), are truly exceptional and a staple of Japan’s summer festival season. 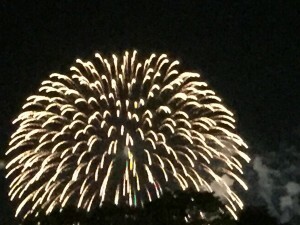 In Japan hundreds of fireworks festivals occur each summer, typically in July and August. 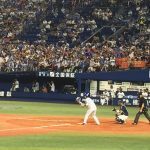 For people who enjoy seeing unique cultural events – and those who don’t mind rain – it is one of the best times to visit Japan. Originally used to ward off evil spirits, fireworks have a long history in Japan and are an integral part of Japanese summers. 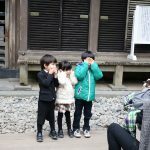 For whatever reason, they are not at all typical during the rest of the year, and not used to celebrate New Year which is celebrated at Shinto shrines at the stroke of midnight. True to their technological prowess, the Japanese are quite proud of their fireworks and they have some of the best in the world. 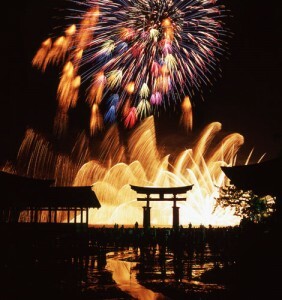 Japanese firework shells range from small intricate ones to the world record holding Yonshakudama shells which can be over 1000 pounds and 4 feet in diameter. But not only are they big, they are beautiful and interesting, with unique fireworks like the Niagara sparklers that are set under bridges and resemble the famous waterfalls, and formed shells that burst into familiar shapes such as hearts, smiley faces and cartoon characters. Very large Yonshakudama fireworks shell being handled very carefully. 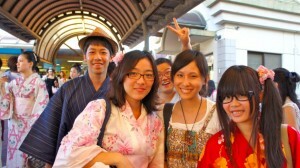 Another great part of Japanese fireworks festivals is their relaxed atmosphere, as people dress in yukata and the streets are lined by food and game stalls. 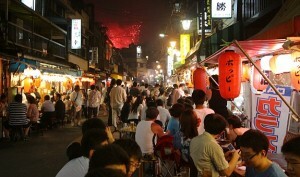 The firework festivals themselves typically start around eight in the evening and last one to two hours. Many of the longer shows are broken up into multiple shorter segments, interrupted by the announcements of titles and sponsors and many are set to music. The competition for good viewing spots can be intense, and people often show up and reserve the best spots hours in advance. We are lucky in that we live near our excellent local town’s annual firework’s display. We typically alternate our viewing spots between our rooftop deck and the beach where friends have a lovely viewing area right on the beach among all the festival goers. This year the kid’s favorite was the fireworks in the shape of super-mario. 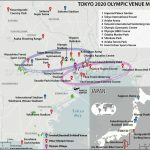 If you’re in Japan in July or August, there absolutely will be opportunities to see fireworks. Take the time to do a bit of investigation and then enjoy. 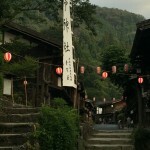 It is an experience well worth the effort and a truly local thing to do in Japan. 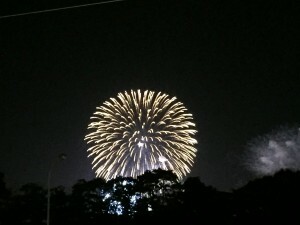 One of our local Hanabi displays, last week, as seen from our favorite cafe/bar.